Lighthouses For Sale Or Rent | A dedicated lighthouse research facility of past, present and future lighthouse sales. Plus lighthouse holiday destinations. This detached building next to the lighthouse tower would convert to an amazing home or even a holiday letting cottage (conditional on the new owner obtaining their preferred type of planning permission). Please note, the lighthouse tower is still operated by the Northern Lighthouse Board and NOT included in this sale. We are delighted to present this former engine house for sale at offers over £79,000. 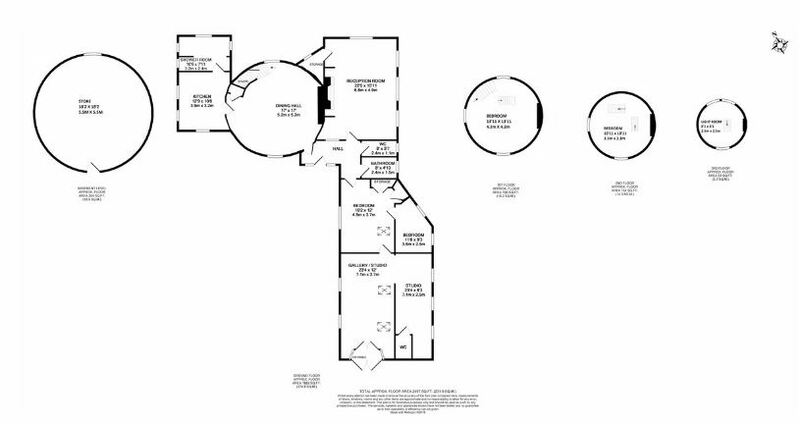 This is a conversion opportunity and would require planning permission and a reasonable budget to complete the works. There is also a cottage for rent for the duration of your project at £99 per week. Do you fancy really escaping to the country? Offers Over: £79,000 – Under Offer. I mention the depths of winter for two reasons. 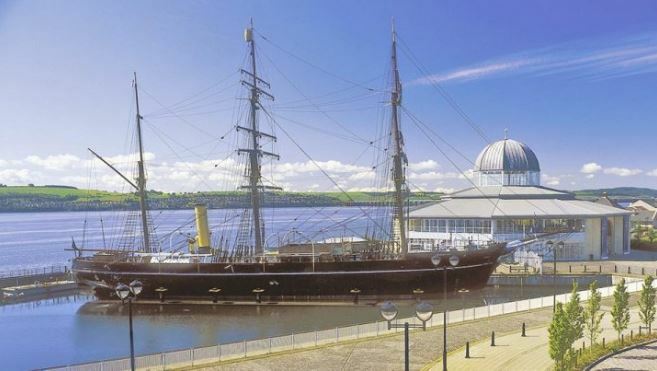 Firstly, it is apposite to spend time aboard the RRS Discovery on a brisk, beautiful Baltic cold winter’s day given her voyages to the Antarctic. 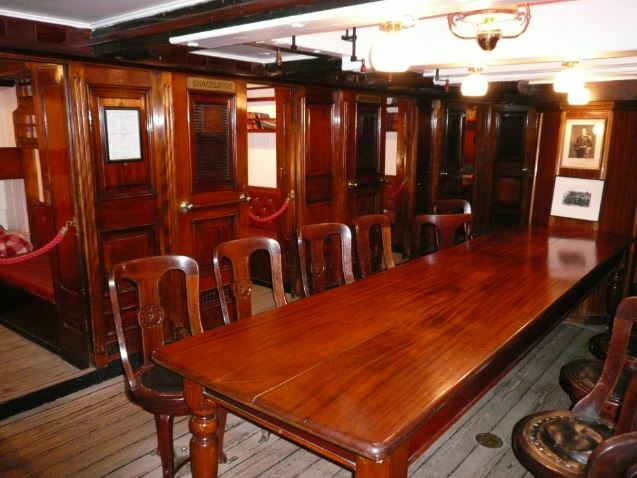 Secondly, in December or January you can enjoy this whole ship as a quiet sanctuary. Sometimes there isn’t another living soul aboard. 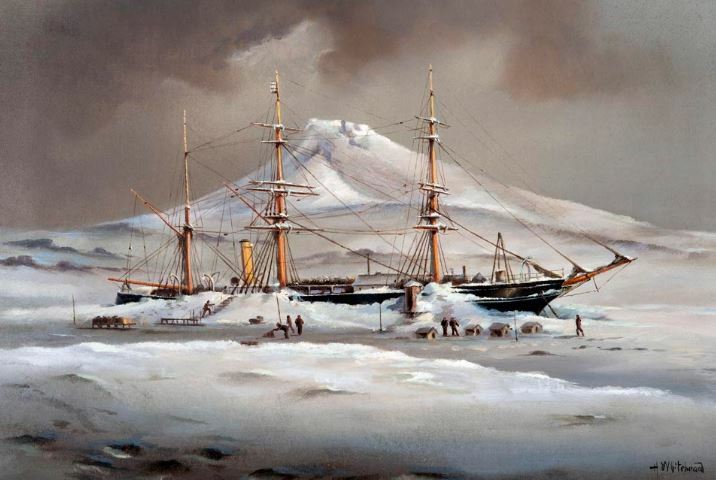 RRS Discovery At The Antarctic. Locked In The Ice For 2 Years: 1902-1904. Brrrr??? Are you interested in renting a comfortable double room at this lighthouse station for £90 per week? We will notify all of our subscribers when we get the full sale details of the Great Castle Head Lighthouse property. Thinking of Selling Your Lighthouse Building? Just text or call: 0793 557 2803 with details of what you wish to sell. Amongst our readership are many folk looking to buy a lighthouse building. We are a not-for-profit website run by volunteers: by lighthouse owners, for lighthouse owners. 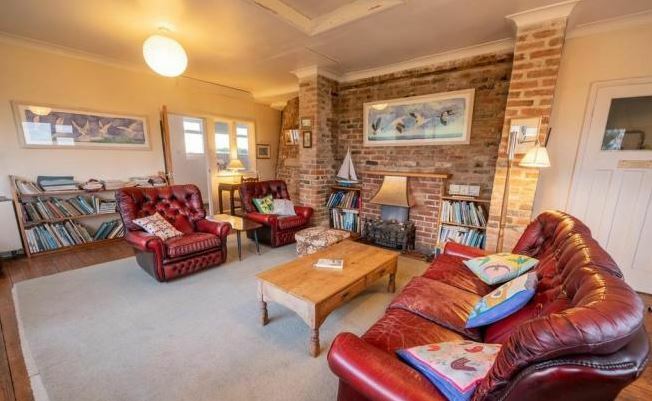 It is the former Second Assistant Lighthouse Keeper’s Cottage for sale. Or TEXT the word “STRATHY” and your email address to: 0793 557 2803. This is a not-for-profit website run by volunteers. If you value what we do, please consider sending a donation via our parent entity, Unique Property Bulletin. With the accidental success of this website and tens of thousands of readers each month, our bandwidth charges have shot up. The annual £1,882 IT/Website/Security running costs mean that your spare fivers, tenners and even twenty pound notes are very welcome. Thank you. Help us to help you by supporting this not-for-profit website. 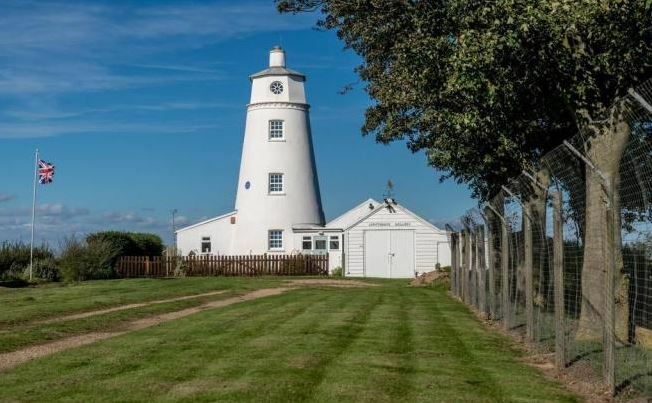 Burnham High Lighthouse Tower, a Grade II* listed lighthouse tower built in 1830, has been converted to a three-bedroom home/holiday letting business. It has round rooms on each of its eight floors. This tower is approximately 110 feet (33 metres) tall. This tower has some very special features such as the incredibly precious glass Fresnel lenses in the lantern room. Lantern Room Includes Very Precious Fresnel Lens. 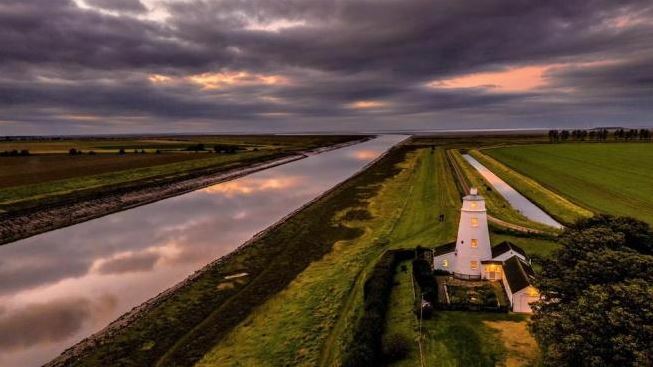 Burnham High Lighthouse Tower has been updated with modern features such as reinforced glass floor, French cast-iron roll top bath and its own industrial sprinkler system, complete with solid bronze fittings. We love to help fellow lighthouse folk find their ideal beamy place to live. Our website is a not-for-profit entity run by volunteers. We are passionate about lighthouses, most of us live in them. How may we help you? Sorry this lighthouse station is now sold, but we list several newly available lighthouse homes for sale each year. By popular demand we have put together a special feature article/tutorial. The subscribers of this website are a group of friends who share information about lighthouses for sale. This passion has also seen them own 8 lighthouse buildings between the. Would you like to find your own ideal lighthouse building using your own efforts along with some techniques that will show you a way that has worked well for us? Our core volunteers have owned 8 lighthouse buildings between them! A lighthouse owner looking to sell some of their towers. (not Burnham High Tower). This information in the DIY guide has been distilled from 25 years of lighthouse buying experience and prepared for you. There is a modest £3.65 donation to access the special feature article and the funds generated goes to help pay for our website hosting fees. This lighthouse locating tutorial could actually change your life. Fancy this little lighthouse tower? Winkie Point Lighthouse Tower, Isle of Man. To find out that extra edge in locating your ideal lighthouse home. The most northerly part of the country’s mainland. WOULD YOU CONSIDER APPEARING ON TELEVISION? Calling all unique property enthusiasts! Windfall Films are currently producing a new series for More4 called Historic Homes (here), and we’re on the lookout for unusual properties undergoing conversion to dwellings, an integral part of filming is participation of enthusiastic owners. We’re really interested in buildings with a story; ideally those that weren’t originally designed for living in. The series will explore the history of the site, as well as charting the unique challenges of turning these buildings into homes. So whether you’re taking on a lighthouse, bunker, pump house or castle we’d be interested in hearing from you. Get in touch with me: markatwill (at) windfallfilms (dot) com – Thanks! Fancy Participating In Property Television? The New Series Is Called Historic Homes. Call Mark Atwill on 020 7251 7676 EXT 239. This Foghorn Station was originally built in 1858 as a fully functional lighthouse – and a second light just along the coast from the main tower here. Latterly this building was turned into a foghorn station. Then in 1992 it was decommissioned and sold by Trinity House to private owners. The old foghorn building has owner’s accommodation within it; plus a holiday cottage element with a very useful income from that part of the property. Plus we believe that there is a strong likelihood of more former lighthouse keepers’ cottages at this location coming up for sale. 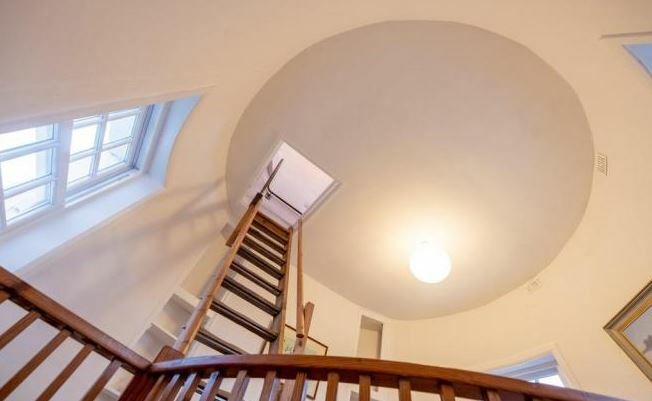 Also a fascinating glimpse behind the scenes where a property developer saves £508,000 on a £950,000 headline price for the whole lighthouse compound and buys the lot for just £442,000. Near to the UK oil capital. 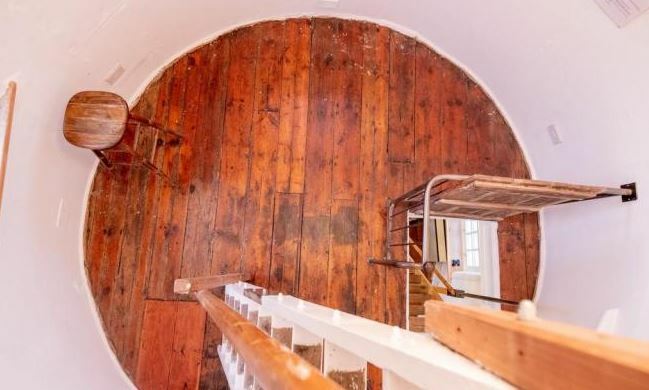 An adventure awaits, with FIVE former lighthouse keepers’ dwellings for sale in the compound [pictured above top left of photo]. 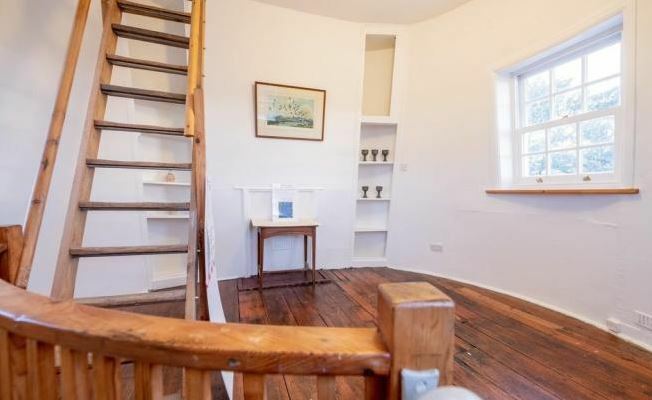 The price for a former lighthouse keeper’s house here start from £79,000. All located in a spectacular setting. The lighthouse tower just offshore is NOT included, but the 11 miles of beaches are free for you to walk with their sublime beauty. Please note, The TOWER is NOT included in the sale. Little Ross Island and it’s various lighthouse (and farm/barn) buildings, may be “under offer”, but it is still worthwhile keeping an eye on the current selling progress – in case the place comes back up for sale. Over the past three decades, we have seen, first hand the fact that several lighthouse buildings have come back after the first sale effort falls through. Our very own HQ for this website at Noss Head Lighthouse Station was one such second-time-around sale/purchase. Disheartened that you missed Little Ross Island for sale? The consider joining our email news alert list…. If this small island and lighthouse compound do come back up for sale we will let all our subscribing readers know. If you would like to go on our lighthouse for sale email alert list, please Click Here. 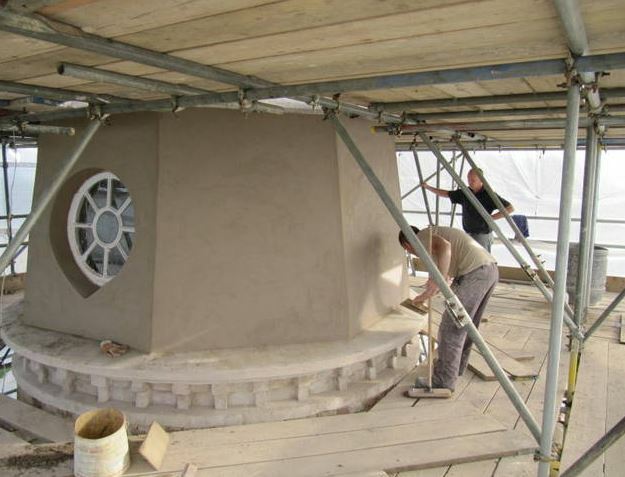 We have a significant number of readers who wish to buy a lighthouse building. Do you have a lighthouse property to sell? Text/telephone us on 0793 557 2803. This website is run by lighthouse owners for lighthouse owners. If you are looking to buy or sell a lighthouse building, just Google “lighthouses for sale” and see what is at the top of the rankings. We have worked hard to secure that top spot. 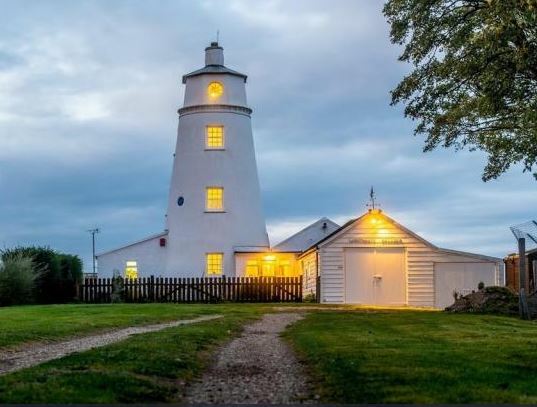 With much assistance and good will from loyal readers, we are delighted to help folk get into unique property mischief and end up owning a lighthouse building. We are not an estate agency. Just lighthouse people through to the core. Tarbat Ness Lighthouses Sold. We Introduced The Seller To The Buyer. We achieve over 34,000 page views on this Lighthouses For Sale or Rent website, depending how busy each month is. Not too shabby for a fairly obscure endeavour. So if you are selling or renting your lighthouse, please consider contacting us. Text or telephone: 0793 557 2803. The Stoer Head Lighthouse Compound. Tower not included in this sale. Ground floor, former lighthouse keeper’s flat (2 bedroom): £175,000. 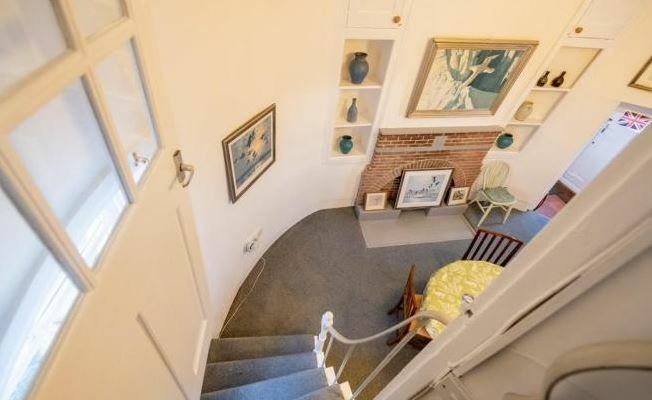 First floor, former lighthouse keeper’s flat (2 bedroom): £170,000. Detached occasional lighthouse keeper’s bothy: £22,500. WHO RUNS THIS WEBSITE AND WHY? Several readers have asked us this two-part question. For our readers who have the dedicated lighthouse property sleuthing ability within their DNA. 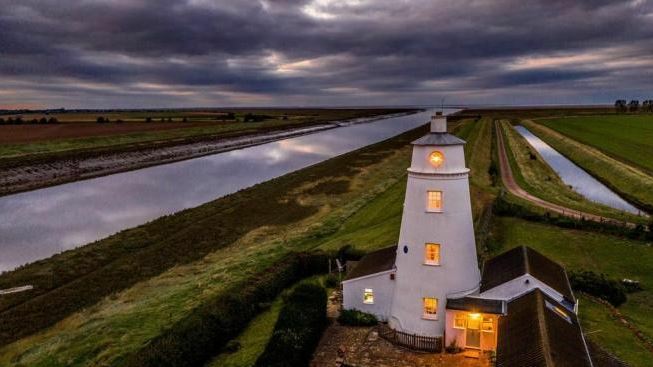 If you are determined to find one of these lighthouse buildings to live in for yourself, then our special article is a reasonable starting point. 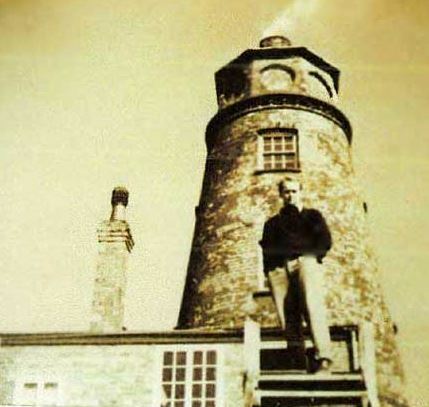 What has Robert Carlyle got to do with finding and buying lighthouse buildings/? 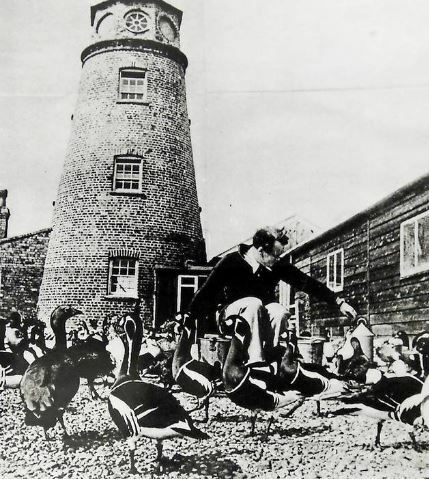 The light hearted rural police drama featured adventures of the eponymous, eccentric character in uniform, inhabited brilliantly by Robert Carlyle. The BBC series was must-watch television on a Sunday night in the 1990’s. But here’s the thing. In real life there are actual Hamish Macbeths. You are reading the words of one right here and now. Just exactly as the writer of this segment is tapping them out on the old keyboard for you. 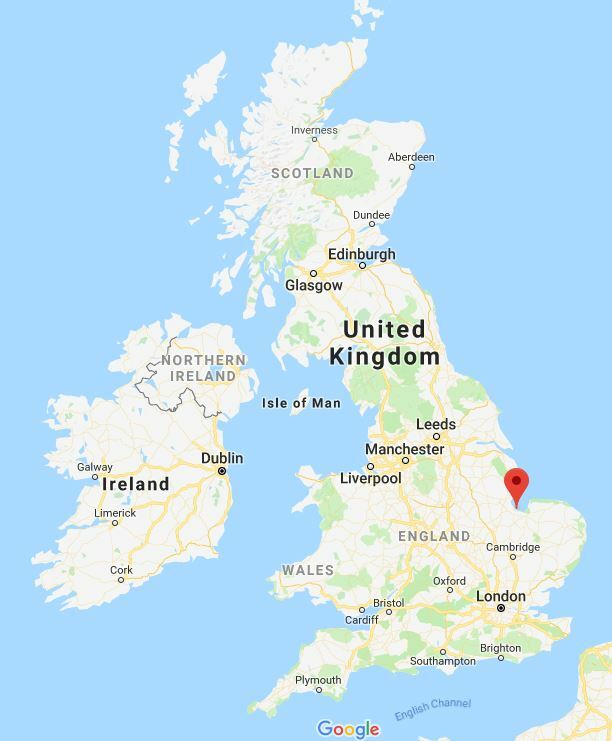 Curiously, it is an obscure fact that thanks to a Teuchter version of the Old Bill – and a lot of training at police college, this website has been created. If it were not for a real life Hamish Macbeth, then Lighthouses For Sale or Rent would not be here. Click Here For The How? & Who?